Discussion in 'SWNN News Feed' started by SWNN Probe, Apr 11, 2019. In this article, guest writer ForceWave-1139 sets out to provide some clarity on this issue, looking back at some past interviews with Abrams and various other sources that paint a more complete picture of the collaboration between the two writer/directors and how their visions are more aligned than the recent comments by Abrams have led some to believe. Notice how this quote, and the quote from the Fast Company interview, do not contradict each other; both quotes has J.J. acknowledging that The Last Jedi is Rian’s film first and foremost. However, in the Wired interview, J.J. makes sure to clarify that the direction Rian Johnson took, despite being his own approach, was still in line with what J.J. and Lawrence Kasdan had in mind. This is a far cry from how people have tried to spin the Fast Company quote as “confirmation” that Rian “destroyed” everything that J.J. set up. As the Wired interview shows, quite the opposite is true. And because the interview was conducted years before TLJ was released, it’s unlikely that these statements were constructed as “damage control” in response to any perceived backlash from TLJ (since the film wasn’t even released yet). As he explains in the Wired interview, both J.J. Abrams and Rian Johnson discussed their plans for their respective films, and made adjustments accordingly (one example was replacing BB-8 with R2-D2 on Rey's journey to find Luke Skywalker). This was not a one way street, though, where J.J. acquiesced to each of Rian's demands; on the contrary, when J.J. felt that Rian's suggestions didn't feel right, Rian adjusted his film accordingly. The ambiguity of what Rian's adjustments entailed leaves the door open for those who are hellbent on believing that Rian merely bridged the gap between what J.J. established in TFA, and what Rian wanted to do in The Last Jedi (a common theory is that Luke's change in attire was an example of Rian working around J.J.'s refusal to budge). However, the fact that J.J. himself said that Rian's direction with the story was 'very much in line with what we were thinking as well' should anchor any wild speculation about Rian going rogue with the story after TFA. This may not be enough for some people to accept that Rian didn't 'throw away what J.J. set up', so it's worth taking a moment to address specific points about what was allegedly 'thrown away'. Even before TFA was released, the identity of Rey's parents generated widespread speculation among the fandom. This led many audience members to find things within the film to support their theories, rather than look at what the film itself is trying to say. However, Daisy Ridley, Rey's actress, felt that the film itself settled the issue. What TFA revealed about Rey’s parents was that they left their daughter with Unkar Plutt, and Maz tells Rey that deep down, she knows that “they’re never coming back.” Using Occam’s razor, the simplest explanation is that anyone who would abandon their child with someone as repugnant as Unkar Plut is probably a bad person, and since they’re “never coming back”, they’re probably not important (and certainly not Luke, Han and Leia, or any of our other heroes). So Daisy is correct in saying that TFA answered who Rey’s parents were. In another interview, she emphasized that she never felt Rey's parents were important to the story (apart from Rey's own personal journey). 2.) Luke was always going to initially be bitter, disillusioned, and hide himself from the rest of the galaxy. 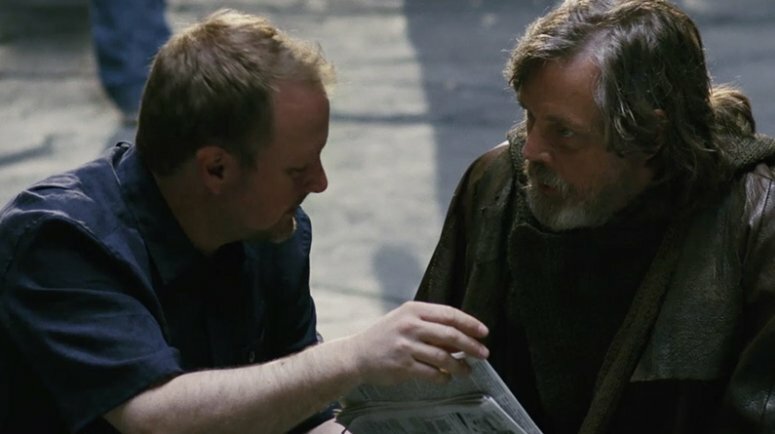 Many critics of TLJ argued that Rian’s idea for Luke in the ST was different from J.J.’s; in their minds, J.J. intended Luke to go to the first Jedi Temple to study, not to exile himself from the rest of the galaxy. Han: [Luke] was training a new generation of Jedi. There was nobody else left to do it, so he took the burden on himself. Everything was going great, until... one boy, an apprentice, turned against him and destroyed it all. Luke felt responsible. He just...walked away from everything. The only thing Rian Johnson did was explain why Luke felt responsible, and why he felt the need to exile himself. A common example, used by those who argue that Rian's conception of Luke was 180 degrees different from J.J.'s perspective, is how, according to Mark Hamill, there was going to be boulders floating around Luke at the end of TFA, showing how he hasn't cut himself off from the Force. However, it's a fallacy to suggest that this one detail means that Rian's view of Luke going forward wasn't in line with what J.J. had in mind. In TLJ, Luke didn’t reject the Force; he simply rejected the Jedi’s self-proclaimed monopoly on the Force. Most likely, this change was made merely so that it made sense why Luke didn’t know Han was killed off until Rey and Chewbacca found him (the fact that it reinforces Luke’s view, that the Force doesn’t belong to the Jedi, was a happy accident). The fact that J.J. acquiesced to this change, when he refused to change other elements, reinforces the idea that J.J. and Rian were collaborating to ensure that their films were roughly on the same wavelength. Many people fault J.J. and Rian for the decision to have Luke exile himself from the rest of the galaxy, and continue to struggle with the Dark Side after seemingly conquering it in Return of the Jedi. However, this idea actually came from George Lucas himself. While it's true that Disney's sequel trilogy doesn't follow Lucas' original outline to a tee, many elements from Lucas' outline still made their way into the films we saw in theaters; one of those elements was Luke’s portrayal. Doug Chiang's comments are especially enlightening, as it shows how Luke's broad arc throughout The Last Jedi had its roots as far back as May 2013, well before Rian Johnson was hired to direct Episode VIII a year later (June 2014). @AdamLanceGarcia: So, correct me if I'm wrong, but it seems like Luke in The Last Jedi was fairly consistent with, or at least inspired by Lucas's vision? @PhilSzostak: I would say so, yes. I worked on TFA from pretty much the very beginning and was present at the January 16, 2013 meeting at Skywalker Ranch with George Lucas that Christian mentions here (and that is described in greater detail in The Art of The Last Jedi). 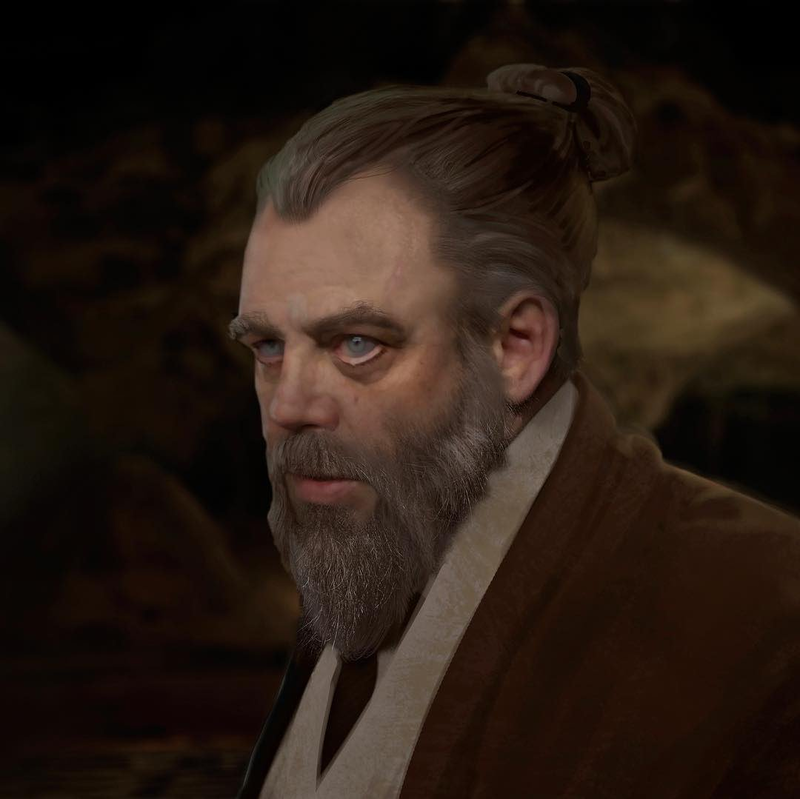 Admittedly, it’s unlikely that the events in Ben’s hut, which is the most controversial aspect of Luke in TLJ (albeit, woefully misunderstood, as Pablo Hidalgo explained), came from George Lucas; In Lucas’ outline, the son of Han and Leia didn’t start out the ST as having already fallen to the Dark Side, so Luke’s decision to exile himself and the son’s fall were probably separate events. 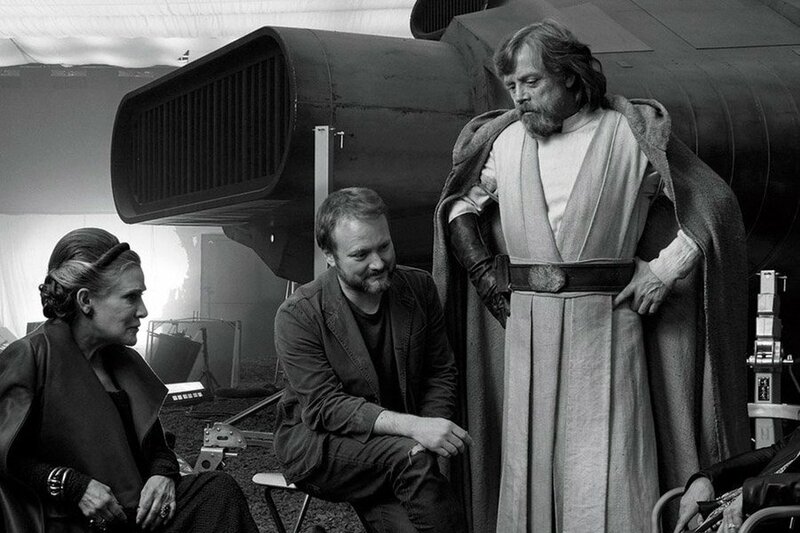 In any case, all the evidence suggests that Luke's portrayal in the sequel trilogy was dictated by The Maker himself, not by J.J. or Rian, and whatever contributions they made were working within the framework George had already set up. Andy Serkis denied this in an interview with EW. 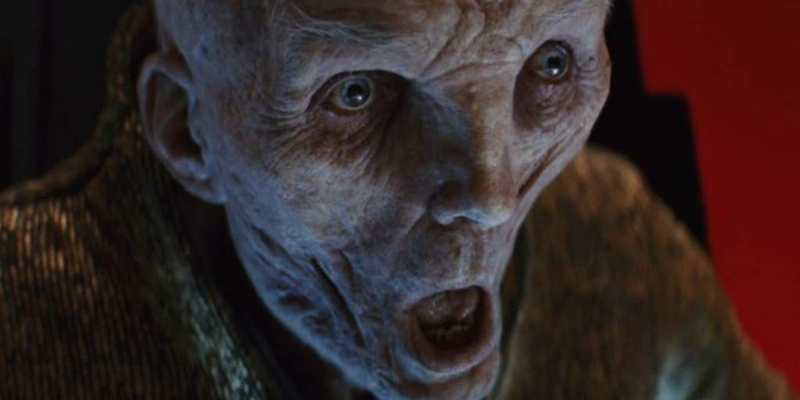 Although there was much speculation about who Snoke might turn out to be (one popular theory was that he’d turn out to be a Sith Lord known from the prequels as Darth Plagueis) he actually turns out to be … just Snoke. 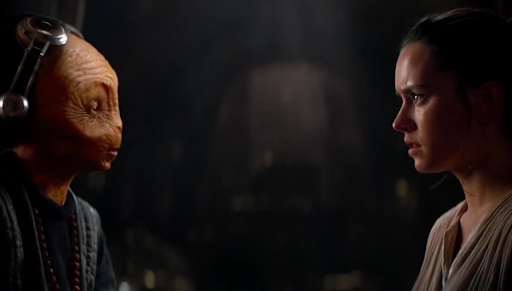 It’s possible that J.J. didn’t intend for Snoke to be killed off so soon, with very little elaboration on who he is, but without any actual evidence for this, it’s a fallacy to use Snoke’s premature demise as an argument for the claim that “Rian Johnson threw away what J.J. set up.” And even if he did, that’s one story thread out of all the others that Rian continued as J.J. wanted. 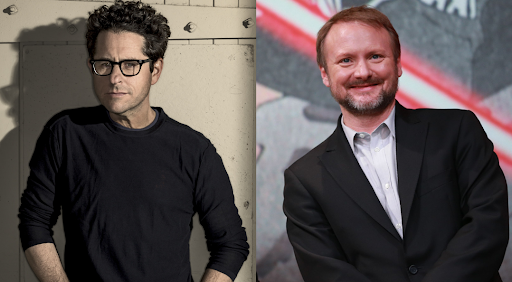 In conclusion; Once you 'get into the weeds of Episode VIII', you'll see that J.J. Abrams and Rian Johnson had a healthy collaboration with each other over the general direction of the sequel trilogy, and that none of what J.J. Abrams set up in TFA was dismissed by Rian Johnson in TLJ. Hopefully, this article will clear things up and provide much needed context to this debate. ForceWave-1139 has adored the Star Wars franchise since he could comprehend images on TV. He has a young YouTube channel focused on Star Wars analysis, satire, and a strange affinity towards retro futuristic aesthetics. Hooray for (not so) common sense!! YES! Excellent article! My thoughts almost exactly and I say this as a fan of 40+ years and as a writer. TLJ, in my "professional" and fan-based opinion, was a great film that fleshed out the tone of the galactic situation regarding the near extinction of the Resistance and the Republic, as well as the tragedy of the fallen legend Luke Skywalker, all initiated by Abrams with TFA. It couldn't have gone any other way, otherwise it would contradict the reason to the plot, rendering it all pretty vapid. Guest Editorial: Why No Standalone Movie News at D23?